As we celebrate Nancy’s legacy, we remember her strength and perseverance during tough times. Nancy Zieman the Rest of the Story A Memoir of Faith, Family, and Friends—A NEW! book by Nancy Zieman’s husband Richard Zieman—is a moving and inspiring account of an unexpected journey with life’s final challenges. Richard, along with family and friends, share personal stories of the faith, family, and friendships that sustained Nancy. For a chance to win a copy of Nancy Zieman the Rest of the Story—A Memoir of Faith, Family, and Friends, published by Nancy Zieman Productions, LLC, please leave a comment below. One random winner will be selected. The randomly selected winner of a copy of Nancy Zieman’s book with DVD, I Sew For Fun, from Nancy’s Notions, is Debbie. Her comment is: We have 6 granddaughters but it was actually my 10 year old grandson who asked me for a sewing lesson during his last visit. We plan to make a pillow case the next time he comes. Would love to have this book to share with all of them! Coffee with Nancy was my routine on Saturday morning for many years. She made all of us better people. It was necessary for me to retire from nursing earlier than I liked. I felt so lost. I missed the sense of community and purpose. When I stumbled upon her series it sparked a renewed interest in sewing. It had been years,with the exception of a hurried costume or simple mending. It pulled me in the direction of a new community and sense of friendship. Perusing sewing awakened a new lite hearted feeling I hadn’t felt in years. I guess 25 years of nursing was enough and it was my turn to exchange my syringe needles for sewing needles. Nancy gracious personality reached right through my disappointment and helped look in another direction. It is obvious in living her faith she shared it with those in the audience. I still tear up, seeing her name and missing her spirited self. What an inspirational and courageous woman. I look forward to reading this book. Never met her in person, but we spent many a Saturday morning together via PBS on television. I loved her dry wit and common sense approach to sewing. She is missed. It is a touching story to write with a husband perspective. Would love to read this book about my favorite sewing teacher. She is missed. Nancy taught me well. I have videos of her shows. I have notebooks that I filled with her teachings.I miss her but think of her whenever I’m at my sewing machine. I learned so much over the years watching Nancy. She had such a presence. Grace is the word that comes to mind. I loved her show. The sewing with the grandchildren is one for the memory books! Such a touching story to write on a husband perspective. Would love to read this book about my favorite sewing teacher. Nancy was such a talented lady who inspired a lot of people like me. God filled her with so many creative ideas. I loved watching her on tv and I still watch her on my local PBS station. Although I never had the pleasure of meeting her I almost felt like I knew her after watching her for so long and ordering from her catalog. It would be such an honor to win the book that her husband wrote about her. So I’m wishing myself luck. Thank you for the opportunity to enter for it. I, like Nancy started sewing at a young age and made almost all my clothes while I was in High School. That carried on when I was married and had a family. Nancy has been such an inspiration for anyone who sews. She did it with such ease. I have loved sewing along with Nancy since early adulthood. Ahe has inspired my sewing and quilting and would love to read mire of her story. One of the highlights and treasured memories of my sewing life was meeting Nancy in King of Prussia in 2015. I will never forget listening to her sewing and life “tips”. Her wisdom and simplicity can never be matched. She was a unique person and shared herself generously with her viewers and followers. My treasure is a photo of Nancy, my sister in law and myself at this wonderful event. God Bless. I loved Seams Unlikely and am really looking forward to reading Mr. Zieman’s book. What a wonderful influence the Zieman’s have had on so many. I am very grateful for all she has taught me, both about sewing and living a full and rich life. I have purchased the new book by Nancy’s husband and look forward to reading it. Nancy was a great inspiration to me over many years. I believe Richards book will be a blessing to read and I am sure there has been healing in writing about the journey. Good for you Richard! Finished reading mr.ziemans book and I must confess I. Had to read it intermittently..what a gracious warrior. I have learned and continue to learn thru many of Sewing with Nancy videos, She was in my opinion, the best teacher, such patience and knowledge, which she shared so lovingly thru her videos. Many days , I find myself using her ever so helpful instructions, so many. A wonderful person willing to share all she was. I have a few of her books. thanks and bye for now…. I meant Nancy at a seminar 10-15 years ago. She was so gracious, informative & kind. I have enjoyed watching her shows on the computer & reading her blog. I live in Green Bay and my sisters and friend lives in Michigan, and we have traveled to Beaver Dam more than once to Nancys Notions store. It is a great bonding day for all of us plus a great experience to go into her store and buy certain items we probably could get in Green Bay, but was more fun to go to Beaver Dam and purchase. We all have watched many of her shows, and I still get information in my e-mails regarding sewing projects and I save them all. We just love the information and projects and we are thankful the store is continuing to stay open. Thank you Nancy and your staff for making our visits enjoyable, and to Nancy’s family, I wish she was still here. I truly am sorry for your loss and ours as well. I first discovered Nancy while in my 30′s. I always loved her show. Learning the Pivot & Slide method changed the way I sewed. I remember making three Star Trek Halloween outfits from one pattern…for three guys all different sizes…and they all fit perfectly! Then, eight years ago, I took a pattern drafting pattern and made a blouse from a pattern that was two sizes too small…BUT, using Nancy’s method, it came out perfect !!! I discovered Nancy late in my life and in hers. I was immediately attracted by her warmth, competence, and graciousness, especially when interviewing guests at the end of each show. She was a special soul, much like Fred Rogers. Both are sorely missed. I just finished this book. Oh wow. I loved Nancy before and really enjoyed Seams Unlikely, but this book just was the icing on the cake. I still rewatch the Sewing with Nancy Videos. She was a great lady, sewist and business woman. I miss her. I have been an avid fan of Nancy Zieman for as long as I can remember. She taught me so much through the years and made so many tasks simplified, streamlined and with better results! I was so saddened to learn of her illness and then her passing. It still saddens me to know that she is no longer with us. I continue to recommend her books to new seamstresses. They will never go out of style ir date. I have sewed all my life since I was four or five. I as all the rest of her viewers love watching “Sewing with Nancy.” She became through all theses years my friend, even though I never met her. I lost a baby years ago and quilting became a comfort to me she in turn became a kindred spirit. She always seamed genuine to me and you have to believe that she promoted the love of Jesus through all the people she had on her show at the end that helped others as she did. We had three things in common. She lived on a farm, I did also. She was a teacher, I have also been a teacher. She was involved with the 4-H club, I was president of my 4-H club in elementary school. I was shocked and saddened by the news of her passing. She enriched my soul, she is missed. This looks like such a good book. Nancy truly was a gracious lady & I liked her sense of humor that showed at times. Nancy was truly a special person that shared her remarkable talents and her strong faith with her audiences. A life to be truly honored. Nancy was a 4H girl like me…miss her! Love Sewing with Nancy. I have been a viewer for over 30 years. Watching Nancy every Saturday was like meeting up with a friend once a week to talk about a common interest and love of sewing. Nancy endeared all of us and made us feel through her show that we were all her personal friends. Her step by step approach allowed all of us to be able to create our one of a kind project. Nancy was always so graceful in her delivery. She was such an inspiration to us all. The best way to describe Nancy is that she always made what she was working on look so “doable”. Instead of thinking, Oh, I could never do that, I always left her program thinking, HEY! I CAN DO THAT! She had a gift. She was a gift….. to all of us who watched her faithfully. I love to watch all the shows of Sewing with Nancy. I watch them yet and think of her each time. I will love to have this book to read. I would purchase it anyway. Thanks for writing it. I still faithfully tape Nancy’s program. I loved her book and felt a connection to her as our childhoods were very similar. I never had the opportunity to meet her personally but have many friends who did and have nothing but very positive thoughts of her. I truly miss her! Nancy was, and still is, an inspiration to many of us. Thank you for writing this book so that we might all have the opportunity to learn more about her life. Nancy is truly missed still, and always. I hope I win the book. My husband, parents and myself were at the Fireside Theater in Fort Atkinson, WI. I turned around at intermission and Nancy was two rows behind me. I had heard that Nancy had medical issues but did not know to what extent. I said hello to her and almost whispered a “How are you doing” and she nodded and said I’m doing okay right now, thank you for asking. I replied you’re in my prayers. She smiled and nodded. I SO would have liked to have a picture taken with Nancy, but my inner voice said don’t ask. I’ve only been sewing for the last five years or so and have watched as many episodes of Nancy’s teachings as I could along the way and like the rest – have a heavy heart with the loss of Nancy. Nancy has been such an inspiration for all types of sewing and quilting – I miss her. Of well known women in the world the one I respect, admire and love the most was my Mother; there are only a few other women that I truly admire and would have love to meet – Mother Teresa, Julia Child, Betty White and Nancy Zieman. Nancy Zieman should be a role model for all people, not just women. Her talents, grace and humility are to be celebrated every time we see one of her programs, read one of her books or use one of her patterns. I would love to win a copy of the book but I will be buying a copy anyway. I started watching Sewing with Nancy from the very beginning and learned so much from her. I still have VCR tapes that I recorded from her TV show when shown on my local PBS station. They are probably too old to watch, but I don’t know if I will every throw them away. Nancy was a joy to learn from. I’ve been a fan of Sewing With Nancy for years. Loved the quality of her show and her products. Sorry I never met her in person, everyone I know that have met her had nothing but good things to say about her. Nancy’s passing has truly left a hole in her fan’s hearts. I was and still am consistently inspired by Nancy herself and by her teaching. There are so many favorite projects she designed! Her unwavering faith in God continues to inspire me also. My condolences to her family. Thank you for continuing her legacy! I would love to add this book to my collection of Nancy’s Notions item. I have her book “Seams Great” and I loved every page. She inspired me to begin sewing years ago when I watched her TV show. Over the years, I have purchased a ton of things from her store including many collectibles with the Nancy’s Notions logo. I loved her even though we never met, and I cried for days at her passing. I know she rests with God, and I know someday I will meet her in heaven. I would love to read this book. She was a very inspiring woman and I have been a fan for many years. I cried when I read her letter to all of us and again when I heard the news of her passing. Thank you all for keeping her show and work going and thank you to her family for sharing this new part of Nancy with all of us. Somehow, I think I managed to catch one of the very first shows Nancy every aired and I was hooked; something for a sewer! I so looked forward to her shows each week and couldn’t wait for the next batch of new ideas. I miss her so much, she was like a sister to me and I only met her once, but we were one in our faith. She is missed. I so admired Nancy and have made many of her quilt patterns. Would love to hear her story. Thank you. Dignity, grace and talent were among the many virtues that Nancy exemplified and it would be inspiring to read about her from someone that knew her so well. It truly would be an honor to be blessed with this book. I miss Nancy. I have tapes and still get e-mails, etc. with her image, but it isn’t the same as a new program each week. You felt by joining her program that a friend had come to visit. Perhaps, as a viewer, you learned something new, or just said aloud that that’s the way I do it too. It was a time to relax and share a moment of her day. I am certain that if I miss that and never met Nancy, that her family and close friends miss her terribly. Thanks for sharing her in this book. I miss Nancy! I have many of her shows on DVD and video tape, which brings her alive once again in my living room. I would like to see the show continue with one or more of the many sewists she mentored. We want and need more sewing ideas to propel this creative hobby. There isn’t a time I can remember that I wasn’t aware of Nancy. My mother always watched her show and when I was out on my own I continued our tradition. I am in awe of Nancy’s life, the contributions she made to the sewing industry, and her strength and resilience during the trying times. I still record all the shows. She is the reason I was able to overcome any sewing problem I encountered. I still miss seeing her every week. When I heard that Nancy was leaving the show and why, my heart was broken. I felt like I was losing a member of my family. I had watched several sewing programs over time but Nancy was always the best. She had a quiet professional manner that I trusted. I still go back to see how Nancy would alter a pattern to fit or nice tricks of the trade. As my Mama would say, She was such a “Lady” and her faith shined through. Thanks Nancy for sharing your love of sewing with us.Till we meet again. A great educator! I have the picture of Nancy and me in my sewing room; she stood sew patiently with everyone who wanted a picture at an educational event in California. She and I shared our Bells Palsy story. She is missed. I really enjoyed reading Seams Unlikely – Nancy had such a nice way of telling us about her life, her family, her career, and most important, her faith. I really liked the comments from family, friends, and collages in the columns of the pages. I look forward to reading this next book about Nancy written by one who loved her so much. Thank you for continuing Nancy’s legacy. I ADMIRED ALL THE HELPFUL HINTS FROM NANCY AND ANYTHING NEW ALONG THE WAY. SORRY I HAD NOT MET HER AT THE QUILT EXPOS. JUST TO KNOW SOMEONE WOULD HAVE AN ANSWER TO MY QUESTIONS WAS AWESOME. BLESSINGS TO NANCY’S FAMILY. I look forward to Nancy’s program weekly and go back repeatedly to the website to watch again & again. I have learned so much from her. It is a loss for the world. Her faith shone through in everything she did. She is missed. Watching Nancy each week not only enhanced my sewing skills but also reminded me of my own faith walk. I also have had an awfully lot of challanges and hurtles to overcome and Nancy was and still is my weekly dose of inspiration.She continuely took my thoughts off of myself and helped me to keep my faith and to try to help others. I miss her dearly here on earth,but I know in my heart,because she is my sister through Christ, that we shall all be together again. Thank you Richard,she was who she was partly because of you. May God Bless and like she always said”By for Now”. Don’t need to ‘win’ this book. Purchased it as soon as I saw it at the Madison Quilt Expo. She was surely missed this year, but not forgotten. We saw her everywhere, and “passed on her friendliness”! So sad to lose such a wonderful and inspirational woman. So glad her show is continuing in the “Best of” version. Nancy was such a bright light in our world. I am so happy to have followed her shows since I was a teen. I miss her wonderful spirit immensely. Nancy was such an inspiration to my sister and me. Nancy was so generous with her time. At a sewing convention she was gracious to let a long line of women get their individual picture taken with her. Nancy was an inspiration to so many. Not only did she glorify the Lord through her creativity and outreach but through her personal pain and suffering. What a tribute to her God. He sustained her with strength and courage until she heard the words, “Well done My good and faithful servant.” We can all learn from her example. I thoroughly enjoyed reading Nancy’s autobiography “Seams Unlikely.” Whenever I am perplexed by a sewing issue I can imagine Nancy’s soothing voice on her PBS shows walking me through it. I miss her but am so thankful for her shows on PBS. She was a woman of grace, courage and so inspiring. I met & talked to Nancy at several Quilt Expos & enjoyed our conversations. There are so many wonderful comments of how we were all inspired by her & how we miss her! I have her book & now look forward to reading this new one by her husband. May God grant you eternal rest & peace, Nancy. You will never be forgotten! Nancy was such an inspiration to me in all of my sewing endeavors – and after reading her autobiography, I found we shared many parallels in our lives, from our ethnic heritage, to knee problems, playing tenor sax, to working at Minnesota Fabrics, etc. I had the privilege of meeting her several times at the “road trip weekend” in Beaver Dam and she was always gracious, funny and friendly. I own most of her books and refer to them often. She is greatly missed. My prayers are with Richard and her family and I know she will continue to inspire the sewing community for years to come. Nancy was always inspiring, what a beautiful tribute. I always liked watching the deep appreciation and respect Nancy showed to every guest on her show. She genuinely seemed so joyful in sharing and adding to each person’s talent. Her faith and grace through trials is amazing. I was never able to meet her but always felt connected as so many others. I think we all learned much more than sewing from Nancy. Thank you for offering another book of inspiration from Nancy. I’ve been a long time fan of Nancy’s…have watched countless hours of her wonderful tutorials, own many books, dvds, fabrics, notions, & couple of my favorite mugs! Would make a point of visiting the store anytime we’ve traveled to Wisconsin. Never had the opportunity to meet her in person but you could just always tell she was one special lady! She inspired so many! Look forward to hearing more about her from those who knew her best! What a wonderful tribute to a wonderful person. Thank You Richard. Where are the proceeds going? Nancy greatly impacted my sewing career and I think of her and her inspiration daily. My prayers go out to Nancy’s close family and friends, grief is a never ending road. The loss I’ve felt without Nancy in my world has been difficult. My prayers continue for Richard, Nancy’s family, friends and all who were blessed to work with her as I can’t imagine the emotional difficulty they are going through. As Nancy believed, they will be able to go on with the help of our God. My heart aches for the family, and close friends of Nancy, I started watching her on PBS starting with day one! My sewing room should be called a Nancy’s Outlet store! from all the years of purchasing her products. One wonders how can life go on, but somehow God walks us through it. Without faith we have nothing, and we are nothing. I’ve followed Nancy for around 30 years, and met her once when she did a 4-H workshop in my hometown in northern Michigan. She was charming and oh such a talented seamstress. Missing new programs, but thankful she has left such a legacy and allowed us to access her videos long after. Her faith in God was evident in the way she taught and ran her business. She seemed like a very thoughtful and caring individual that we need more of today. She was an inspiration to all. There is not a day goes by when she is not in my thoughts. She was all about education and encouragement. Nancy was such an inspiration. What I loved most was learning that she had a deep faith and that it determined how she lived her life. And of course, I have some of her books. What sewist doesn’t! She left us much too soon, and I’ll miss her. 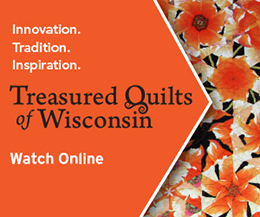 I just spent time volunteering at this year’s Quilt Expo in Madison, WI. We were privileged to have Nancy’s amazing landscape quilts as a special tribute to a most amazing woman. What I admire most about Nancy is her strong Christian faith. Until I read her book, Seams Unlikely, I had no idea how many physical challenges she endured. Blessings to her wonderful family. I never had the honor of meeting Nancy in person but as a breast caner survivor myself I applaud her brave fight and sympathize with her family. My DVR was and is still set to record every episode of Sewing with Nancy. I’ve purchased and enjoyed reading “Seams Unlikely” and also many her How-To books and patterns. The fact that Sewing with Nancy continues to be broadcast is a testament to her devotion to teaching and bringing new ideas to all. I live in Canada, never learned how to sew, self taught, not well. Sewing with Nancy was like having a sewing teacher in my living room. I have a lot of her tapes and books I miss her. Never had the pleasure of meeting her as I have medical issues and traveling is hard but it would have been my dream. She was a lovely woman & is sorely missed. I have watched so many of Nancy’s programs through that she seemed like a friend. She displayed warmth, intelligence, confidence — so many positive and inspiring qualities, including a vast knowledge of all things sewing. Thank you for sharing your personal stories of your life with her, Richard. God bless . I have a photo taken with Nancy in 2011 in my sewing room. I share her faith. She is loved and missed. As I go into my sewing room most days Nancy is there everywhere. From her patterns, DVD’s, notions that are everywhere I turn. I miss seeing her on PBS and I do find it harder to order items from her company knowing she isn’t there to oversee everything. It took some time for me to be able to order from her company again but I couldn’t help it. It’s because of her I have tried new things and I’ll never forget meeting her at a PFAFF convention years ago and she was so down to earth and warm. I read her book with delight and I look forward to reading Richard’s book with love. Whether I’m lucky enough to win one or I buy it, it doesn’t matter. I will read and savor every minute of it. I’m hoping her family are finding peace in knowing she will never be forgotten. I would love to read the book. I have always admired Nancy Zieman’s fortitude and perserverence. Was not able to watch her TV show, but she was my inspiration to better my sewing skills . I have most of her books. She was a talented woman with grace and lived her life with God first. She is missed. was gone off the TV. I picked her up again when I went on the internet and never missed reading and loving her weekly emails and projects. announced that she had cancer and eventually died. I couldn’t believe it. I still get the emails every week so she lives on in spirit. I have to give her company credit for carrying on her legacy and grace. Mary M.
I was not able to watch her on TV, but she was my inspiration to better my sewing skills. I have numerous books she wrote to provide us with her knowledge. She was absolutely the most talented beautiful person inside and out. She is dearly missed. My deepest condolences to Nancy’s family. Take comfort in knowing she enriched the lives of of all who knew her. Looking forward to reading the book. Glad her faith and strength are being shared with all of us who did not know Nancy personally. Nancy always seemed to be so kind, humble and faithful, in all she ever did. I have her book, and so enjoyed reading, in her words, about her life. Thank you for the chance to win her husband’s book about her. Nancy was an amazing woman and I can’t wait to read more about her, her life and her faith!! I have watched and learned from Nancy for many years and loved her attitude and teaching methods. I always love her show, it’s still on TV. Nancy was a huge inspiration along my path of sewing. Her confidence, excitement, knowledge and passion for sewing was evident in all her shows. I loved watching and learning from her. She had such creative, fun and simple ideas. Thank you for giving me a little piece of her talent. Nancy was a true inspiration to many. She is missed. Nancy was such an inspiration not only for her knowledge and teaching ability but also for how she lived her life and faced each challenge. I feel like I have lost a very good friend. Look forward to reading more about Nancy’s extraordinary life. I feel like Nancy was a sister. She came into my home every week sharing her sewing secrets. She was so warm and caring, I just loved watching her. I’d love to read this book of stories about her. Thanks for a chance to win the book. i will miss having the Sewing With Nancy show. I always enjoyed the show even if I wasn’t especially interested in that topic. I would hope that part of her legacy would be to continue the PBS show with her friends and former guest and the Sewing With Nancy Team. What a wonderful blessing Nancy was and still is to we that love to sew. I followed her faithfully and absolutely loved her Sewing With Nancy shows and watch them still. She was an inspiration with her sewing as well as showing and living out her faith. She was a wonderful person and I thank God for her life and legacy. May God be near and dear to those family members who will always miss her. I watched “Sewing with Nancy” for so many years! I even got to hear her speak when she came to Kent Ohio as a guest of WNEO PBS 45/49, *many* years ago. It was a great lecture, with lots of her trademark humor, and great hints that I use all the time! I feel like I have always known Nancy, always watched Nancy. I am always so surprised when I mention her to someone who doesn’t know of her! They have missed so much. I was so very lucky to actually meet and talk to Nancy two different times. She was so gracious to have a picture taken with me. She really is missed by so many! Thank you, Richard, for writing this book and sharing it with Nancy’s extended ‘family’. She touched so many lives and so many miss her. She is gone too soon. We weep with you, and share our love and fond memories. I can’t remember a time when I didn’t watch Sewing With Nancy. She was so much a part of my life. A wonderful teacher, a great innovator, always inspirational. I loved Seams Unlikely. Nancy inspired me when my children were toddlers to find even 10 minutes to sew. She is missed greatly. I’d love to read this book! I learned so much over the years from Nancy, and I still can hardly believe that she’s gone. Thank you for sharing the rest of her story with us! Nancy was so inspirational and had such a loving, caring spirit. I loved her book Seams Unlikely. I would look forward to reading her husband’s book. Looked forward to” Sewing With Nancy” every week. Was inspired by her skill and her delivery. We continue to be inspired by the words and pictures that she has left behind. She is with us still, keeping us interested in sewing. Best wishes and God Bless to all of her family. Can’t wait to read the book. When can I order the book? I feel so sad ; I miss her ; She has always been an inspiration to me. Through all that life threw at her , she came through it with flying colors. All because she had a strong FAITH in GOD. I read & re read her last book, truly she is a woman too be admired. A real inspiration to all she came on contact with. GOD BLESS HER & HER FAMILY. I was blessed to meet Nancy at a Pfaff convention years ago. I had followed her on Sewing with Nancy, and was a bit shy to meet her, since she was my sewing ‘hero’. She was so kind, nd friendly, and approachable. Her knowledge was amazing. When I read her letter to her fans that she had cancer, I sobbed and prayed. I, as many did felt that I was losing a best friend. So blessed to have had her in my life. Nancy was such an inspiration and I loved her just like we were best buds. She was beautiful and so very talented. She made me think I could sew as well as she could. If I know I won’t be home when seeing with nanc y came on I’d set my dvr. She is missed by many. See you again one day, nancy. Nancy’s book was warm and brilliantly written. I would love to read the continuing story of this remarkable woman. I so enjoyed Nancy’s book. Made me think of my growing up years. Attended the same county fair as she did. Our lives were so similar only mine came before hers! Enjoyed her shows on PBS as well. Look forward to reading Richard’s book. God bless your family. I miss Nancy. I’ve saved her final episode is Sewing with Nancy. It was charming, as was she. Like many of you, I met Nancy at a seminar in Richmond, VA, a picture of the 2 of us graces my sewing room. I have watched her shows for many years and always enjoyed her sensible approach to sewing that made things look so easy. My favorite SWN show is the series of her teaching her granddaughters to sew. Those little girls sitting on her lap is so precious and it is something I do with my granddaughters. I enjoyed watching Nancy’s TV shows. I have learned a lot about sewing. I also have a few of Nancy’s books and matching DVD’s that I enjoy watching over and over. I would enjoy having Richard’s book to learn more about Nancy. Will miss her very much. Nancy truly was an inspiration. Although I never met her, she seemed to me to have a gentle soul. I would put my children down for their naps & treat myself to watching her PBS shows. She did so much for the world of sewing! What I liked about Nancy is that her techniques were so simple to use & she went slowly in her videos so you could follow along. I have learned a lot with her books that I have. So glad that your keeping her passion going. Nancy was such an inspiration to so many sewers and was so giving of her knowledge. Watching her was watching a friend. I have an autographed copy of Nancy’s book, that a friend got me when Nancy was in Cincinnati a few years ago. I read and will cherish her book, and I plan to start reading it again. Even if I do not win Richard’s book, I would still love to buy it. I love watching her shows, even though our PBS station has it on WAY too early on Saturday morning. Nancy made sewing look SO easy, I cherish any of her sewing books, templates that I have, and I am always looking to add to my quilting library. Thinking of Nancy’s family, and husband, and sending prayers, she truly IS Missed in the Sewing World. I always loved watching Nancy’s show, she was such an inspiration to so many people. May God bless! Several years ago I attended a workshop in King of Prussia Pa; one of the days Nancy spoke to us and showed her quilts. It was a wonderful time. Her humor was great; I can remember laughing when she quietly said she enjoyed sewing items in an asymmetrical pattern. I enjoyed her book and found it to be funny at times and also heartwarming in her look at what she went through..as though it wasn’t a big deal. A good lesson for me. i would love to read about Nancy’s live and faith. Nancy is still teaching, even while she is not with us here. Hello to you, I am a “Sewing With Nancy” friend among many. The years of the enjoyment knowing I could depend on Nancy’s show for learning about the latest information, new tools, short cuts, and all the projects for donations, gifts, and for self have given me and so many the love of sewing beyond words. I started watching when I lived on my Navajo reservation, with only solar panels for running our TV with “rabbit ears antenna”, I looked forward to Saturday mornings to watch “Sewing With Nancy”. I continue to use ideas and videos of Nancy’s programs, etc. Thank You Nancy (RIP), Anita Ryan, a friend in memory. I learned of Nancy from an aunt in the 80′s. We attended her show where she talked to the whole audience as if she was talking to each of us “friends” individually. I loved her from that day on, and watched her as often as my schedule allowed. I was heartbroken when she passed away. I would love to read Richard’s book. I grew in my sewing skills by watching Nancy’s shows. She made sewing for me something that I could do confidently. Her easy style and grace were always something I looked forward to seeing. She wasn’t just a sewing legend, she was a person I am so glad she left an abundant of archived shows, Nancy Zieman Production’s blog, and, her books. When I need to refresh a sewing skill, those are my go to places. She will continue to be remembered by people like me for all the good and wonderful things she did. I always enjoyed watching “Sewing with Nancy”. I was inspired and I learned much. I am glad that Nancy’s efforts were so successful. You could see she was special. I miss her and will want to read her story. The rest of Nancy’s story does live on… in our hearts and at our fingertips while sewing. From the wonderful comments by those who met and knew her, there’s no doubt that the good Lord guided her in the most important parts of her life – family and career – and more. I like many people cannot tell you how much Nancy meant to me/us…as a friend and as a teacher. She reached through the television every week to touch our lives and be a friend that we needed so badly. She will be eternally missed by all of us. Nancy Zieman was a wonderful teacher in my life, mostly about sewing and all things fabrics, but also about living her life with grace and love that she found first in her faith. She was blessed in so many ways with a loving family and thousands of friends and admirers. I wish she had been given a longer life to share with the rest of us, but God had a plan for her life and she submitted to God’s will. Thank you for this book. Enjoyed seeing Nancy at the Sewing Expo at the Puyallup WA fairgrounds. I often consult her books and would love to win this book. I started watching “Sewing With Nancy” on the TV station out of Dallas in the late 70′s. She was on 5 days a week. What a treat and a friend and I flew to San Antonio and got to see Nancy in person. Such a thrill and then seeing her in Houston at the Festival of Quilts. She is missed so much. I met Nancy and her husband at a sewing event in Lady Lake , fl. They were both so kind. It was one of my most memorable sewing moments. I’d love to read “the rest of the story”! Nancy lives on every time any of us invoke her name or program describing some sewing technique we have learned from her! I was amazed when I read her autobiography and learned of her lifetime of various physical challenges. If only I can be half as strong when facing difficulties! I look forward to learning how she persevered until the end of her physical time with us. I watched so many of her shows, enjoyed them all immensely. Still enjoy watching the ones that are still showing. She had an easy relaxed way of teaching that made you feel welcome to be a viewer. The year our son graduated from Great Lakes Navy Training, (27 yrs ago) I HAD to take a side trip to visit Nancy’s shop. Naturally purchased some fabric and a kit which I still have hanging in my sewing room. Anyway, my husband was allergic to something in the area and he couldn’t go outside without wheezing so had to cut that stop short, much to my disappointment. Have read the first book and intend to get the new one. I spent many Saturdays watching Sewing with Nancy and her shows were always inspiring. She will be missed. Nancy will forever be remembered by the sewing world. The lady definitely was one of a kind. Many projects to do and many lessons to be learned from her. I currently am learning to do the overlapped zipper and with her help I will master it. Nancy inspired and launched so many people into the joy of sewing and quilting. Her legacy lives on as her followers share the love of sewing with the next generations. Thank you, Nancy! Always loved watching Nancy. She always made things look so easy, and she always taught with such calm assurance that her students could achieve success. SShe is greatly missed. When the 30 year celebration rolled around, I thought ‘Nancy will be retiring soon’ and I could not imagine her retiring. Then, I come home from Thanksgiving activities and find a tribute memorial….WTH! I was mad, sad and selfishly feeling a loss of a woman who was only known to me through her program. Now, I’m grateful for all the years and glad her suffering has ended. Most of all, I’m glad to still have her lessons available to view, read, digest. I have been watching Nancy for many, many years. She came on at 6am on Saturday, and I got up anyway as as my husband said, you don’t miss your sewing show! Although my Mom taught me to sew, Nancy taught me how to sew better, easier, faster, even when I only had 10 minutes. I still enjoy watching the shows. I now take some of the things she taught me and passing them down to people in the classes I teach. I look forward to reading the book. Nancy was such an inspiration to so many beginning to learn sewing so many different things. I learned how to do many things with her by my side so to speak. She was a wonderful host for her show which I always taped and watched over and over. I felt so fortunate to meet her on one of my trips to Paducah Ky quilt show. Such a gracious lady ! So so sad to hear of her illness and her death. Nancy was such an inspiring woman that was taken from the earth to soon. I would love to win a copy of your book to learn more about here. I met Nancy only once, but she left a powerful impression on me. It was like meeting the greatest star to ever be, but better! She was so gracious to me and my husband. We came to WI just to meet her, but she was in a meeting. I thought I’d lost my chance to see her in person, but when someone told her we’d come all the way from Pa. just to meet her, she so graciously took the time to see us and that meant so much to me. Whenever I see a photo of her or watch her show, either in re-runs or on DVD and realize she is no longer physically with us, the tears start! As many before me have said, she was and is still such an inspiration to us all. I count myself very blessed to have known her, even if it wasn’t in a personal way. I pray that you and your family are coping well since her passing. I’ve read her book and now look forward to reading yours. My copy is in the mail as we “speak”. Thank you for sharing her with all of us! She’s one of God’s best! Nancy encouraged everyone with her talent and life. I treasure an e-mail I received from her after a stroke that left my whole right side useless. She told me not to give up and I didn’t now 4 years later I am once again sewing and doing machine embroidery. So I say thank you Nancy for the life you lead, the words you wrote to me are an encouragement daily I miss you so much, but we will keep your legacy alive as we continue to keep your teachings alive. Anxious to read Richard’s book. Nancy a woman of real courage and love. Thank you. Nancy was such a source of inspiration for me along my own journey. I purchased one of her earlier books in my very early married life, and of course she was there to coach me along the way in watching her PBS shows. My Saturday sewing friend. So humbled to meet her last year at the sewing weekend in Beaver Dam where my Husband and I retired. Loved her book that she signed for me, and look forward to reading this book also. She was a true blessing. I watched Nancy for years on television. She was someone many of us related to, she was our personal friend. Enjoyed reading her autobiography. Look forward to reading the new book. I first found Nancy on PBS station when hubby left the Army after 27years and we retired in Fort Worth, TX. I had no friends yet but Nancy was my best companion. I faithfully taped her programs so I could watch them again. Tho I’d sewn since I was a pre-teen, I learned so much from her, and not on,y sewing skills. She had such grace and a peace about her. I prayed for her thru her illnesses and cried when she ended the program, and again when she died, she will be missed, but she is also remembered fondly. She is such an inspiration to me both as a person and in my sewing life. I miss her greatly! I remember taking a class with Nancy in our town, probably 30 years ago. I didn’t really know who she was at the time, but I was drawn to the idea that a sew’er could be good enough to go around teaching classes as an expert in her field. She was a great role model. I have learned so much from her TV and online programs. I am looking forward to reading the book. I appreciated how she would gently help a guest clarify a technique to help us understand better a point they were making. Mentor to millions, and we all felt we were personal friends. I watched Nancy every day — when I couldn’t I taped it so I could watch later. I had breast surgery about 5 years ago and then 3 days later I had a stroke. Since then I haven’t done much sewing but I still enjoy reading about the program. I know you all must miss Nancy as I do too. Missing Nancy at Quilt Expo!!!! I’m sure you’re there in spirit!!!!! I still watch Nancy show on Saturday. I met her a few years ago at a seminar I went with some of “sewing” friends. She was so wonderful and share many things with us. We also have a picture we her and I have saved it. I watched Nancy for years and years before I went to work the mid shift at a telecommunications company. I also watched her on PBS on Saturday mornings. I watched her today on PBS. I know she’s gone from us, but her spirit lives on, her shows live on. I learned so much throughout the years, and she was my inspiration to actually start quilting. I always felt she was my friend when watching her on t.v. keep the reruns going. I watched Nancy from the very beginning. She helped me increase my skills as the years went on. I loved her teaching style and easy manner backed by a loving heart. I use her books, her favorite notions and watch her cds and still watch again on YouTube. She has left a whole in our hearts and the sewing world, but her faith and her story will last forever. Thank you, Richard, for writing her story. I’m anxious to read it. I, too, have watched Nancy since the very beginning, and have had the privilege of meeting her at sewing shows. She was such a gracious lady. I have always sewn and quilted but often there was a tip or trick or something she said or did on her show, to add to my sewing/quilting arsenal. Thank goodness for reruns, back in the day before recording them was available to us. It really pained me to miss a Saturday morning with Nancy. Looking forward to the new book. Rest in heavenly peace, Nancy. Nancy was truly an inspiration. We have all had so many happy hours watching her shows, reading her books and learning to be better at the craft she loved. I had the pleasure of meeting her at the Quilt Expo. I was star struck actually getting to speak with her! The new book must have been hard to write but it helps with closure to finish her story. She will always be missed and her legacy will live on. i watched Nancy almost from the start, i could tell she was a kind , gentle lady, and i will miss her forever, and i hope her shows run on tv as long as possible i watch them over and over, as i get older i see so many people die and it gets harder for me . this is hard for me too, bye for now. I love Nancy so much she was my inspiration durant the hard time. I learn so much from her. She was a giver she didn’t care if we buy or not she just give her ideas to make a better world. She was a go – giver . I miss her so much and only hope that her show continue the way she was sharing, it will bring more and will change people. Giving make us better person. Love you Nancy I know you understand what I’m saying, forgive my English writing. But I need it to let your family know how I feel about you, I pray for you and I cónsul myself by leasing your voice from one of your videos. Now you are in God’s care and enjoying real happiness. I think I watched Nancy from the beginning. Learned so much from her, felt like she was a friend. Mom started me sewing at 11 and Nancy picked it up. Always looked for her show wherever I moved and am deeply saddened by her passing. It’s been hard to watch her on the PBS app, but she still has so much to teach me. I learn something new every time I re-watch an episode. Very glad for this provision. I’d be lost if it wasn’t for this. Thank you for keeping this available for us to watch! She had so much sewing left in her. I need this book for closure as she was taken too early from us. No one can replace her. Thank you Richard providing us with this more in-depth look at Nancy. I learned so much from watching Sewing with Nancy for 25 years. She was truly a gift from God who was gracious enough to share her knowledge. I still have a problem accepting that she is no longer here to share her knowledge and herself with others. I felt like I knew her personally and truly miss Nancy; she will always be in my thoughts. RIP Nancy, you were also loved by your viewing family. Nancy had the gift of teaching! She simplified the complicated. Her calmness during trials was a testimony to many, especially to her family. I rejoice that she is in Heaven, healthy and whole, waiting for a reunion with her loved ones. I have 59 episodes of Sewing with Nancy recorded and watch her every day. She taught me so much about sewing the easy way and I have passed on many of her tips to family and friends . She is truly missed. The world would be a better place if we were all a little like Nancy. I looked forward to watching Nancy’s show, getting her in formation and Blogs. Having sewn since age 5, I found so much to learn from her insight and inspiration from her life. I hope her programs can continue so that many more can enjoy and learn. I was especially saddened to hear of her illness and than passing. We have lost a true Gift from the Lord and yet know that she remains in our lives forever. My prayers and condolences go out to her Family. I loved seeing Nancy teach in person and on TV. Such a gracious, funny, smart woman. I can’t read what everyone else wrote today, as I will sit and cry. In the past week or so you featured Nancy with her granddaughters. You can see the love she showered on them. How precious they were to her. I have tears in my eyes just writing this. I always think if those of us who loved and learned from her morn her, how much harder it must be for those of you who knew her personally. And yet, her legacy continues with the re-broadcasts and blogs. What a strong woman to face adversity head on. Someone to learn from for sure. I can’t wait to read this book! Thanks! I learned so much. She felt like a best friend. She is the only celebrity I have ever shed tears for. Thank you for continuing to make her show available. Nancy was one of a kind. She gave so much, and I’ve learned a lot from her. I watched Nancy from the 1980′s. I learned so much from her and was saddened at her passing. I still have a lot of her episodes that I particularly liked on DVDs, the DVR and on old VCR tapes. Such a talent that was cut short too soon. However, I am sure God had greater plans for her that we will someday understand. I still miss her. I loved her original book, and I am sure this one is just as great. A lovely life story about a lovely person – who had a lot to do with my love of sewing! Since Nancy died I cannot watch her shows and can barely visit her on-line store. I was lucky enough to watch her on educational television from the very beginning. She meant so much to so many people and I have to say I still miss her. She was a true lady. Many years ago at Nancy’s sewing weekend in Beaver Dam I made a jacket and modeled it in the Style show. Nancy was so gracious to me and every year after would say hello. It was as if she remembered me.I miss her and remember her in my prayers. Since an unbelievable woman who shared so much. I gained so much knowledge and inspiration from her. Nancy is very much still with us with all she left behind. Her books, templates, patterns, and more that are daily things I see in my sewing room that remind me of her. Nancy will not be forgotten and happy to see there is a book which I will read for sure. Nancy is in my heart. I believe I have watched Nancy’s show since it first aired in Portland Oregon and I have learned so much from her and her guests. I always thought she was a fascinating lady and she will be missed. Who wouldn’t want to share the incredible life Nancy led despite the challenges she faced. It humbles many of us to strive to do better in our everyday lives. We are so thankful that her legacy will carry on with those devoted to the craft. You all have a good day. I have watched Nancy for many years and learned so much from her. I read her book Seams Unlikely She was an inspiration. I refer to her books and use her techniques often. Would love to win this book. I have learned much from Nancy and was saddened by her passing . I am grateful that her encouragement and advice is still being made available . Thank you . Nancy opened the doors of sewing for me , and I am so grateful. I still love watching Nancy’s show. They were so informative. I was fortunate enough to meet Nancy at Quilt Expo three years ago. I found her to be just a sincere and pleasant in person as she was on her TV show. She is very much missed by all of us. Learned so much from Nancy, about sewing, quilting and how to handle bumps which life dishes out. At one convention, I asked her to autograph her book and we exchanged a few comments. As I walked away, I said, “God bless you, Nancy.” Her response remains vivid: “Oh, but he already has.” Wow. Can’t wait to read Richard’s book. May God continue to bless her family. I have just watched Nancy’s show this morning. She and a guest made an adorable tote bag. Nancy explained step by step so that viewers like me would easily understand how to make it. This is what I loved about this brave, kind woman. Thank You Richard for sharing Nancy’s life with those who loved her. I met Nancy at the annual Sewing Expo in Puyallup, WA. She insisted on giving me a complete demonstration of the newest Babylock machine, even after I informed her I wasn’t in the market for a new machine. She said she needed the practice. I have an older version of the machine and we chatted during her demonstration about the differences between the two machines. She was so easy to talk to —we chatted about quilting, our families, etc.. It was like catching up with an old friend that I hadn’t seen for awhile. I will always remember her graciousness and I have told this story to many friends. What an amazing woman. I just know she is sewing away up in heaven. A truly remarkable woman and a guiding light in my world. She is missed so very much. Nancy was my first sewing buddy. I miss her. I am so happy that we now are able to watch The Best of Sewing with Nancy. Please keep that coming! Now, we have the book to look forward too! Nancy was and will always be an inspiration of a life well lived. She has left a void in our world today. Thank goodness for her legacy. As I watch the repeat shows it’s hard to imagine there will be no more. Nancy has been part of my Saturday morning routine for much of my life. She taught me to sew but so much more. Rest In Peace dear sewing friend. Just yesterday my mother and I were talking about Nancy. We loved attending Friday Night Light at the Puyallup sewing expo, especially when Nancy was featured. What a wonderful sense of humor, and so down to earth! She was everybody’s “friend”. I can’t remember if it was my sister-in-law or a good friend who told me about Nancy’s shows, but they were/are great. That same sister-in-law gave me my first Nancy Zieman book, for sergers, when I got my first serger in the early 90′s. Needless to say, my Nancy’s library has continued to grow, and they have been shared with my daughter, and recommended to others. While there are a lot of great people sewing out there, I don’t think there will ever be another Nancy. Nancy’s shows were and are still my inspiration. I learned so much from her. I admire most the care and compassion she had for those with her, and her love for her calling was visible through all her shows. I loved watching Sewing with Nancy for inspiration and sewing tips. There was nothing on TV like it! Nancy was a class act! Nancy has been an inspiration to me for 30 years. I remember that I could not wait for her show to come on and then when it was over, I wished it would have lasted longer. This is before YouTube and internet videos were available. May God continue to bless her family and her legacy. I always looked forward to my time on Saturday mornings with Nancy on PBS. I’ve learned so much from her. She seemed to have encouraged my love for sewing for much of my life. Truly an inspiration! I miss Nancy so much. I have been watching her shows throughout her entire career. I even had the pleasure of meeting her twice in Wisconsin. I feel like I have lost my best sewing buddy.!!! She is loved and missed. I still watch her show whenever I can — even though I’ve seen them all a couple of times. I always liked how she gave easy-to-understand pointers on any project she did. She was someone to be admired. I watched Sewing with Nancy for many many years, and loved every minute of it! I learned so much from her over the years. I’ve read and reread her book “Seems Unlikely”. I have so many of her teaching books, which I use all the time. I learned how to custom fit my patterns because of Nancy, she is also my inspiration for starting a Youth Guild, which actually starts today! She inspired me to want to pass on the love of sewing to the next generation, both sewing and quilting. I’ll absolutely buy this book too. She was such a special lady. I too prayed she would beat the Cancer. If any one deserved it, it certainly was her, but I guess the Lord said “Well done my good and faithful servant, now it’s time to come to me and rest”. She is so missed! What a beautiful legacy of love and faith. I so appreciate Nancy and how she lived her life using the gifts God gave her to bless others. I look forward to reading more about Nancy. I I i I was blessed by her talent, graciousness and desire to teach and help others. It was a great joy to meet her in Wisconsin in 2016, attend her classes and take a picture with her. Her picture is one of the special treasures in my sewing room. When I think of Nancy I am reminded that “To be absent from the body is to be present with the Lord”. Recently I purchased and have been reading Nancy’s life story-Seams Unlikely. What an inspiring story for us all–how this remarkable woman overcame so very much, not just Bell’s palsy, to become an incredibly successful individual! She is TRULY an inspiration for any generation! Though God took her home at such a young age, her legacy continues through her family, through her books and business and in the hearts of sew many who were touched by her. I would love to read more about the behind the scenes story of Nancy! Enjoyed Sewing with Nancy many years. One of the few programs which I taped on TV. Felt her death was a personal loss. I am pleased that her “group” are continuing her work. Would like to see future TV programming featuring more of her plans executed by a knowledgeable seamstress or seamster. Don’t like term “sewer” – sounds like it might smell bad. Nancy was an inspiration in so many ways to someone who did not even know her. Her poise and presentation on her shows, her demeanor just screamed kindness to me and her show help a tomboy beginning to sew to become a someone who uses sewing to show my loved ones that i love them. Thank you. I have followed Nancy for many years. She was an extraordinary woman. A real trail blazer. And such an inspiration. Though her triumphs and her tribulation she had such a positive and caring attitude. Nancy was amazing. She made such a positive impact on the crafting world and will not be forgotten for her talents! Nancy was truly and amazing, inspiring woman! A true example of what it meant to be a woman! She will be greatly missed by all! I started watching the show from the beginning, she taught me how to quilt and I never stopped watching even though I eventually taught quilting. It felt like a meeting with a friend. How can you love someone that you’ve never met? I’m writing this through a stream of tears and am sure I’ll need a new box of tissues if I’m the winner of this book! Proverbs 3 is also my life verse, He is faithful! I’d love to read more about her. I was fortunate to get to meet her at a local event a few years ago. She was so congenial, witty, and answered never ending questions about her techniques. The sewing world really lost a jewel. Thanks for keeping her story going. I look forward to reading more about Nancy’s life and faith. I remember her fondly and am grateful for her teaching. What I loved most about Nancy was that she broke down the steps into simple suggestions that made the sewing much easier to do. Nancy Zieman. Teacher. Encourager. Mentor. Missed. Nancy has always been an inspiration to me! Her legacy will live on for many years to come. She was one of a kind. Peace to her and her family. I started watching Sewing with Nancy many years ago. I have learned slot about sewing, but more in the giving nature. She has been a inspiration in my life. Thank you for sharing her with all of us. She was a great teacher, not only in sewing, but in how to be a human being. I felt like I lost a friend when she passed. I still watch all the episodes, over and over again. I enjoyed reading her book, Seams Unlikely, also. When I discovered Nancy, I had being sewing many years without much formal training. From her shows and her books I learned how to sew properly, easily and with less frustration. Sewing became a joy and “Sewing With Nancy” became an institution in y life. I wish I could have thanked her in person for her inspiration. She demonstrated the best of humanity always. She was a blessing to the sewers of the world. She was an inspiration for many of us witjh her knowledge and graciousness. Always learning and teaching us the best and simplest ways to sew. Still watch her every Saturday and still find it hard to believe that she is gone. I admired her from the first book read and the first show watched as a young mother in 1989. She was such a great teacher. I never met Nancy but I feel like she was a friend and I miss her. I never imagined that Nancy wouldn’t be there forever. She was the ultimate sewing teacher and will always be remembered. I’m so glad that I got to meet Nancy briefly several years ago at her booth at a sewing expo. She was kind, gracious, and ready to answer questions while serving her customers. She was my first TV sewing instructor and will remain my favorite. I have watched Nancy for years and to be honest, if I wasn’t in a sewing mood, she put me in one. I wish I could recall all the wonderful tips and tricks she shared when i am stumbling with a project!!! Learned so much from her and enjoyed watching her weekly. Nancy taught me so much through the years. Her strenghth and passio for life is an inspiration to all. She was agreat teacher and is surely missed. I have loved the way Nancy shared beautiful sewing techniques along with the joys and struggles of life. As an occasional caregiver to an out-of-state sister-in-law going through cancer treatments I am eager to read this new book. I always love watching Nancy’s television shows! I was SO excited to visit the Nancy Zieman “campus” in Beaver Dam, once my daughter moved to nearby Oconomowoc, WI. Looking forward to reading more about her life, her faith and her family. I taped Nancy’s shows every weekday for the past 15 years so that I could watch them whenever and refer back to them when I needed the information. I’m still taping! I was one of the many faithful who watched Nancy every week. If I was out, it was recorded. I learned a lot from her and so wish she was here to teach us more. I know this book will be a great inspiration to all who read it. I was a follower of Nancy’s for many years. In 2015, I was overjoyed to meet her and have a photo taken at a Baby Lock sewing event in King of Prussia PA. She was truly inspiring as an educator, seamstress and all around beautiful human being. The autographed copy of her book, “Seams Unlikely” remains in my sewing studio as a treasured memory of Nancy. As an Army family of 30 years, we moved often. Nancy’s PBS program “Sewing With Nancy” provided some continuity to my life as I set-up my sewing space in my new home (each time). The local PBS tv station would be the first number to program into the remote. Watching the sewing project along with the techniques and tips (is) always edifying and as a newly arrived sewist, I depended on the list of sponsors to learn about the local sewing shops. Yes, for many years, Nancy was sometimes my first friend in a new town. I attended a program that Nancy was part of and saw a different side of her than what she portrayed on television. She had a really good sense of humor! It’s hard to believe she is not with us any more. Can’t wait to read this book. Still feel sad about losing Nancy when I watch Sewing With Nancy re-runs, but am so grateful for them. We were lucky to have her on TV for so many years! I met Nancy a couple of times at the quult shows in Puyalluo, WA. She was so kind, autographed my purchase from her booth, and since I am also a “Nancy” she asked me my middle name, and I told her “Maria.”. She responded that she was a ” Nancy Lee. “. I never !missed watching her show on Saturday morning! I am saddened that she was not able to spend more time with us, but she left a wonderful legacy, and family, friends and a a faithful audience who loved her. God Bless. I started watching Nancy many years ago. I felt like she was a friend I could count on to show me the correct, but most efficient way to sew a seam. Learned so much from her! Looking forward to reading this memoir of her life from those closest to her. I have followed Nancy since I “really” began sewing in the mid ’80′s. Sharing herself & her knowledge helped shape my sewing abilities and quest to learn over the last three decades. Her legacy lives on in ” sew” many ways! I watch her every Saturday. She is still with us. I cried when I heard that her cancer had return and again when it got the best of her. I learned so much over the years from her shows. She made everything look so easy. Blessings to all of you everyday. She was always graceful and very beautiful. Always bringing the excitement of sewing into our homes. Nancy is missed by all of us. I started watching “Sewing with Nancy” very shortly after she started the program on tv. EVERY Saturday, I was in front of the tv with Nancy. She made sewing feel like she was right beside me, teaching me the tips and techniques to make my sewing better. In any sewing environment, just mention “Nancy” and everyone knows who you mean. Nancy will be greatly missed but her big heart will be remembered and appreciated for many for many years. I was in awe of her vast knowledge of sewing and quilting. She inspired me with her grace and love of family. I was so looking forward to the evolution of sewing from Nancy’s tips and techniques! I haven’t touched the tip of the iceberg with what she left us though. I read and reread what I have!!!!!! She was such good company as we watched, listened and learned from her for over a third of a century. She influenced our generation so much that I couldn’t believe it my national news network didn’t feature her passing. Just learning techniques from any dry source versus learning from Nancy with her faith and love bubbling over into the project is the difference between a house and a home. Although I look forward to owning DVD’s of every program it’s not the same as when she was present. I have watched, learned from and loved Nancy for as long as I can remember. I always felt like she was a sister of mine. My day was arranged around the broadcast of Sewing with Nancy. She was wonderful as a teacher but excelled as a person. I miss her. She was my sewing heroine. I would love to read this book. My mom recently passed and I would love to get an understanding of how Nancy’s family and friends dealt with Nancy’s loss. I don’t remember when I started watching Nancy. I do remember she was in her living room. I have always watched what she had to teach. I bought her book and couldn’t put it down. I knew she had overcome many obstacles, and the book just confirmed how many. I plan to buy this book also. I miss her every time I get a catalog and watch her program. So appreciate the ‘creative grief’ process that Richard experienced in writing about his wife, who was such an inspiring friend to all who want to sew! As a young wife and mother I found Sewing with Nancy and began watching from the beginning of her shows . No one in my family got to watch tv on Saturday morning while I was watching and learning from Nancy . I can’t even tell anyone how much I learned from her . I am an avid quilter and sewing has sustained me through so many things in my life . She will always remain an inspiration in my life . I have tapes and DVDs of her I still watch . Thank you Nancy for sharing your knowledge with such grace . I have fond memories of watching Nancy’s first shows with my mom when I was a teen. She continues to inspire me, both with her personal life and by making sewing enjoyable. I have been watching she show for a few years and I have enjoyed her shows and have learned much from her shows. There isn’t anyone who sews who doesn’t know the name Nancy Zieman. She had a wonderful gift for teaching. I’m so glad that this website continues to share Nancy’s videos. I worked with Nancy and her staff for a couple of years. Very professional yet down-to-earth. She would always consider he big picture when making a decision and was always very gracious when I visited. Wonderful woman. I can’t wait to read Richard’s book. Loved Nancy’s show. A true inspiration, A wonderful teacher. Her legacy lives on through her books & show Sewing With Nancy. I would be honored to win this book. I started watching Nancy because of my mother, a true seamstress. She was such a fan of Nancy, and I think she was able to visit with her personally at the store. I met Nancy when she came to B-Sew-Inn in Oklahoma City, and she was so warm and friendly. Took pictures with us, talked and spent time sharing tips. She was a hero to so many—sewers and recipients of those sewing. I miss seeing her. I have read “Seams Unlikely” and would love to read this book. Having lived in Lodi, WI for 23 years and being a quilter I visited the shop often and went to the warehouse sale and Expo every year. Last year our vacation allowed me to attend the Expo again. I have not found anything in Florida where I live now that compared. Nancy was always present and always pleasant and approachable, a true and kind person and so talented. I’m still learning from Nancy. She always made me feel like she was sitting alongside me & teaching me. I’m so glad that her legacy continues. I had the wonderful experience to attend a number of Nancy’s Spring sessions. I also have Nancy’s book, “Seams Unlikely”. This would make a perfect companion to it. Thank you for the chance. I only recently got back into sewing/quilting and have been binge watching seeing with Nancy. I love all the tips and tricks. Nancy- thank you for the years of learning. Miss you every day. I learned so much from Nancy. I didn’t realize how much she had become a”friend” until she died. I never met her personally, but I still cry at times when I think of her and her tale t. How she is missed by so many. I so enjoyed watching Sewing With Nancy for years. I miss her and am glad of such a legacy left behind. That she was true to her faith in God is a bonus. I miss her, so. Grace, of course. I am sure reading Richard’s book will bring more tears. Just as many happy tears as sad. Nancy was such a brave soul to be going through what she was enduring. But she still was thinking of her fans and students and never letting on that she was sick. I watched her for years when I wasn’t working. I have bought her books and order through her mail order, and I still do. I never met her but, I loved her. I’ve been there watching “Sewing with Nancy” since the very beginning and she became part of the family though I never met her personally. She taught me more than sewing skills and, having read Seams Unlikely, we had more in common than I realized. Whoever wins will be honored to own a copy of the rest of the story. I still do miss Nancy so very much. Sewing with Nancy was alway my favorite sewing show!! I learned so much from Nancy!!! Nancy was a favorite TV and book teacher of mine. After her medical conditions changed, I became more endured to her. I look forward to this book for the insight of her husband. How I’ve longed to hear from the side of the husband, as one who is also a healthcare partner. My husband is so protective of my autoimmune diseases and pain days. I need to see how another husband thinks. I still watch Nancy’s show for the tips and tricks she shared. I have watched and enjoyed watching Nancy for many years on Sewing with Nancy. I learned many new ways of sewing and making my quilts. She is missed. The world just isn’t the same without Nancy. Even though I never met her personally, I knew her. She inspired me through her talent, her courage, and her faith. I miss her dearly. My husband family is in Wisconsin. We have gone visited many times. Always before it was not the weekend of the Expo. Last year I spoke up and asked if we could plan our trip so that I could attend. I have always thought of Nancy as one of my heroes. I was so excited to be able to actually take one of her classes. I was so overwhelmingly distraught when I got the letter that her health had declined and that the class was not to be. I loved Nancy and miss her dearly. I always lived too far away to have the opportunity to meet Nancy in person, but her graciousness shined through on the TV screen as I learned so much from her. She just made one feel like you knew her personally. She was such a champion not to be held back by any of her health limitations, which served as an inspiration in itself. Her giftedness and creativity in sewing was why her show was so popular for so many years. We are blessed to continue having her videos, but I know that’s far from enough for those who loved her most. On a certain level, though, we all feel her loss. I am feeling the loss of one of my favorite teachers. I never met her but feel like she was a best friend. Her easy, down to earth, method made everything look so easy and gave the impression that I could do it — what ever she was teaching. I have been sewing since the early 50′s but I still learned something almost every time I watched her. I have followed Nancy for a long time. She was very inspirational, both in her love of sewing and her love for her Savior. After reading her book, Seams Unlikely, it seemed likely that she was a kindred spirit to me. Miss her very much. I grieved when I heard she’d passed. She was such an inspiration, and I appreciated her sweet spirit. Didn’t need to meet her personally to know what kind of person she was. What an important contribution she made to the sewing community and example of how to handle what life throws your way. Thankful to God and her family for allowing her to share her heart with us. She was a great teacher. I have followed Nancy ever since her first show. I feel as if I knew her personally. She came across like that, as if her followers were her friends and she wanted share her knowledge with all her followers. I have so many of her books, DVD’s and patterns and will always cherish all she has taught me. Nancy has been so inspiring in her personal as well as her business life, as shared in her book and in her interactions with sewers and crafters for so many years. Especially inspiring has been her frequent participation and sharing of charity sewing projects. I miss her, and feel privileged to have met her in person. Nancy inspired my passion for quilting. I watched her episodes of quilting again and again and that is how I learned to make my first quilt. I have now made 20 quilts and still going! I wanted a Babylock machine because Nancy used one and the features just seemed awesome to me. (I started my quilting journey on a 25 year old machine.) Thank you for the gift of quilting that you gave me Nancy. Nancy has been such an influential person in my life. She didn’t know me, but I feel like she was my close friend. I have watched Sewing With Nancy, bought all off her books, and subscribed to her retail store catalogs for years and years. My heart has been broken since her passing. I have lost my love of sewing. I so regret not going to meet her. It was on my bucket list, and I never was able to fulfill my dream of meeting her and watching her sew in person. I will always regret not meeting my sewing inspiration and friend. I read her book about her life, just before she passed and would be honored if chosen to receive her husbands book telling the rest of the story. Thank you for all the memories and knowledge, Precious Nancy. I didn’t realize Nancy was gone. It’s been a busy time in my life and I haven’t been sewing as much as I want, but I always felt like there was so much I could learn from Nancy. She was a fixture in the swing community. I am glad her videos and books are still available so she can keep on teaching because we still need her! I very much enjoyed watchig er TV series. She showed everything with ease. Nancy was a great lady who made us laugh, encouraged us, and exposed us to many things and techniques. She is missed. I hope Sewing With Nancy continues on the tv for many years. Nancy’s faith quietly shined as she taught me how to sharpen my quilting skills. I miss her and will always be grateful for the things she taught me. May God continue to comfort her family in their loss. I learned so much from Nancy over the years from her books as well as her show. She was such an inspiration to me. She is greatly missed. I always have had a very high respect for Nancy since she was right out of college and was at the fabric store where I worked. Then after reading her book; I had even more respect for what she had done with her life!! Several years ago I met Nancy during one of her annaul warehouse sales/demonstrations in Beaver Dam. She gratiously signed a copy of her book and stood with me for a much treasured photograph. She made me feel welcomed and like a friend. I miss her and her invaluable instruction. Nancy is the reason I started sewing and quilting. She had ways to shortcuts when quilting and sewing. I never missed a program because she taught so much in one episode. She was a true inspiration. I sorely miss her. Nancy was such an inspiration to me. I met her a couple of times at events in Oklahoma and what a blessing she was. She is sorely missed. I just ordered this yesterday so am not really in the running for a copy. Just wanted to say I got a copy of her autobiography last year with an autographed book plate and feel so lucky to have it. She was a gifted teacher who made sewing accessible to me and thousands of others, and is greatly missed. However, she’ll continue to be an inspiration to others through her books and videos for decades to come. What a great legacy. Nancy showed love and kindness to all her viewers. We are all blessed being able to view her. I’ve been a fan for years, attending Sewing Weekend & driving from Milwaukee to shop in the store when I could. And, of course the TV programs! I went to Quilt Expo yesterday but just didn’t have time to wait in line this trip. She will definitely be missed as an educator, designer and a woman of grace. I read Nancy’s book Seams Unlikely. What a creative person! She was a true inspiration as she shared so freely with her sewing audience. I have admired Nancy Zieman for so many years. I dream about becoming someone like her. Someone who spreads knowledge in a fun way and loves doing it. I wish I had know her personally. I learned so much from Nancy and made a career out of sewing! Nancy was an extraordinary person and an inspiration to many! Thank goodness Nancy is with us still today in her books, videos, patterns, notions, and all the memories we have of such a tremendous and inspirational force in the sewing industry. I venture to say that every single person who sews KNOWS of Nancy Zieman and, like me, a 70 year old sewing lady, has been influenced by her wonderful personality and tireless devotion to the sewing industry. It would be an honor to have this book in my library. Nancy was such an inspiration to me along my sewing journey. Loved watching Nancy teach and share her knowledge. Her book would be a daily inspiration. Nancy was an inspiration to us all. I miss her shows and look through her books often as I know I will find the answer there. I have been watching “Sewing With Nancy” for many years. And still watching reruns. I learned much from her. I have a number of her books. and the one she wrote not long ago. I wish I could have met her in person. Would like to win this book. Nancy, in her TV programs and books, showed me that there is more than one way to accomplish a task. She was innovative and inspiring. I miss her very much. Looking forward to the rest of the story, to encourage thousands that this life is not our home. Nancy was such a creative person. So many times I said ” Why didn’t I think of that”. I miss her and her inspiration to do better in an easier way. I had the honor of taking one of Nancy’s class when I was in Puyallup. What a gracious lady. I still reference her books. I would love to read more about her. Nancy was an inspiration from her first show when I was new mom at home on maternity leave. From that moment on I have followed her video releases to meeting her in person at a Steve’s sewing event in King of Prussia, Pa. Nancy is an inspiring women who not only sews but lived her faith and love for all who she met live or through her teaching. God blessed all of us for a short time but will be remembered and loved for a lifetime. Nancy was an extraordinary woman. I will always remember how she could teach with such ease and made everything look easy. Her books will always be my go to sewing references.